The results generated by this calculator pertain specifically to sales people. They are calculated using the results from the 2017 Benchmarking Report and the gross commission and income data inputted by the user of the calculator. Profit refers to income pre drawings (drawings include principal's salaries, commissions, superannuation, car costs and mobiles), interest and tax and established office average is based on the average tenure of all Ray White offices in the relevant state. Potential profit and property management and total worth are indicative amounts only and do not constitute guaranteed earnings when opening a Ray White franchise. 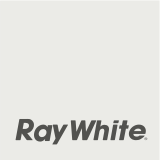 Ray White makes no warranty, representation, undertaking or guarantee, whether express or implied, about the accuracy, reliability or completeness of the information and statements on this website. The information and statements must not be construed as advice and cannot be relied upon as an accurate prediction of likely future performance or individual performance. Independent financial, legal and taxation advice should be obtained before making any decision. Your contact details are being collected by Ray White Real Estate Pty Ltd for the purpose of contacting you regarding opening an office with Ray White. Are you driven tochase success? Our 2017 Profit Benchmarking Report revealed Ray White principals earn 70% more than the industry average. If you’re a salesperson thinking of opening your own office, fill in your details and we’ll calculate a projected profit for you based on the averages taken from our 2017 Profit Benchmarking Report. Don't sweat it, we won't store any of your commission or earnings info! *Profit is pre drawings (drawings include principal's salaries, commissions, superannuation, car costs and mobiles) interest and tax. 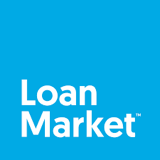 With access to exclusive offers and the power to negotiate a competitive deal, Loan Market provides the perfect support for customers securing a mortgage and can help make the property of their dreams a reality. Maximising value for owners, investors and occupiers. Our team of over 250 commercial property agents handle in excess of $2.5 billion commercial sales and leasing transactions every year. Whether it’s office, industrial, hotels or retail space, we can support with business sales, development sites and asset management. Concierge offers support beyond the sold sign going up - taking care of everything, from arranging insurance, storage, removals, free quotes for home improvement work and more. Concierge supports the customer till the house becomes their home. Wealth Market offers quality financial advice that helps your customers meet life’s challenges and opportunities. It gives them the ability to protect the ones they love, manage the everyday and chase their dreams. Home Now compares utility plans to ensure your customers move is stress free and cost effective - get your customers up and running on the best deal. It’s better when they’re connected. Are you driven to be part of something bigger?